Michelle Obama will be joined at Temple University on Signing Day by a number of stars, including Robert De Niro and Bradley Cooper. 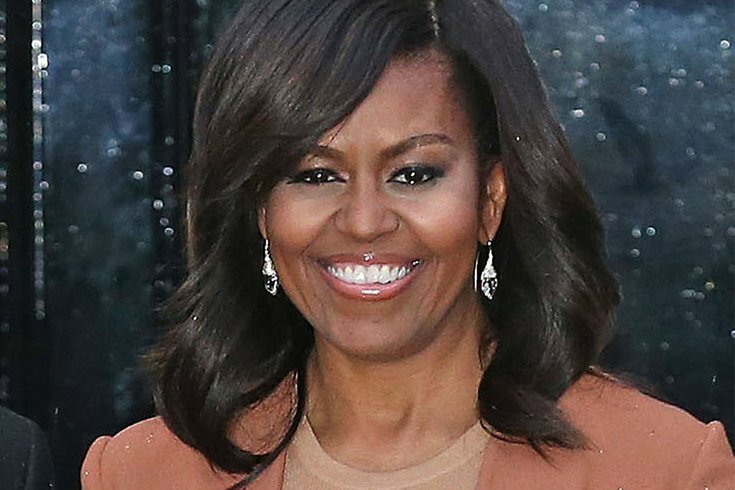 Michelle Obama will celebrate College Signing Day in Philadelphia. The former first lady will join 8,000 Philadelphia students on May 2 at Temple University's Liacouras Center. Obama announced her appearance Thursday afternoon on Twitter, tweeting that she "is in awe of college-bound students all over the country" and that she "can't wait to celebrate in Philly!" Obama will be joined by Bradley Cooper, Robert De Niro, Zendaya, Questlove, Nick Cannon, Kelly Rowland, Rebel Wilson, Jesse Tyler Ferguson and members of the Super Bowl champion Philadelphia Eagles. This marks the fifth straight year that Obama will celebrate College Signing Day, which celebrates high school seniors opting to attend a professional training program, community college, four-year college or university, or enroll in the military. The event is being hosted by Reach Higher's "Better Make Room" campaign. Reach Higher is an initiative Obama created five years ago to inspire students to take control of their future. Obama celebrated College Signing Day in New York City in 2016 and 2017. Before that, she traveled to Detroit and San Antonio to participate.